When you need to switch a lot of power, P channel MOSFETs are best for the job. 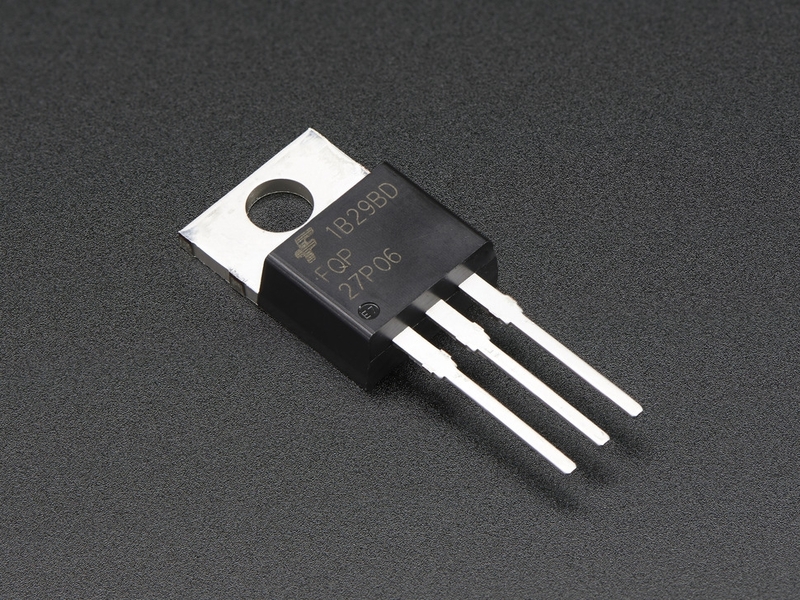 These P-FETs can switch over 60V and 25A (with proper heat-sinking) and are TO-220 package so they fit nicely into any breadboard or perfboard. Heat sinking is easy with TO-220s, but because of the very low Rds(on) of down to 70 mOhms (depending on the Vgs - check the datasheet) you can get away with no heatsinking for pretty high loads! The threshhold voltage is up to 5V for 20A of current, so you can control it directly from a microcontroller running on 5V logic. 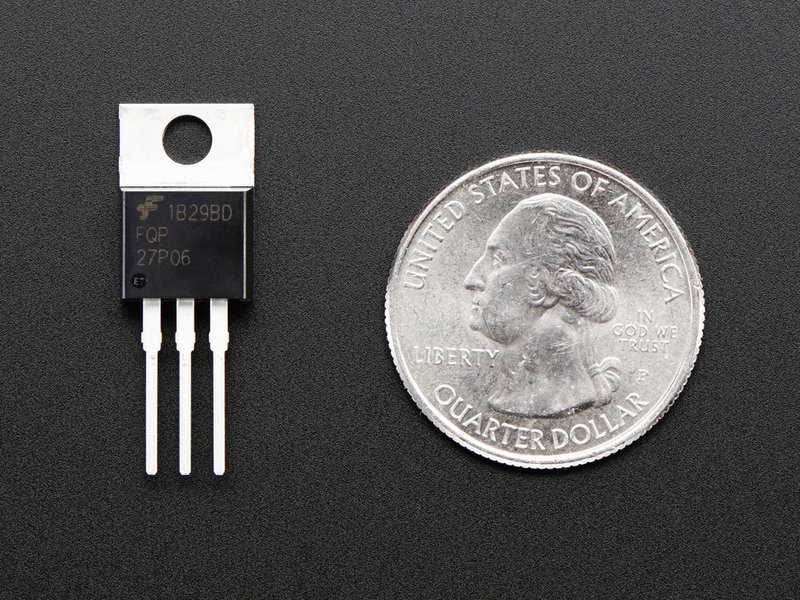 The TO-220 package can dissipate up to 2 Watts without a heat sink (at room temperature). Because it has an Rds of <100 milliohms at 5V-12V logic, that means that you can switch about 10 Amperes without a heat sink - more if you use PWM. For more detailed calculation, we suggest this site which has always worked nicely! Height (incl. pins): 28mm / 1.1"
Length of Pins: 13.5mm / 0.5"